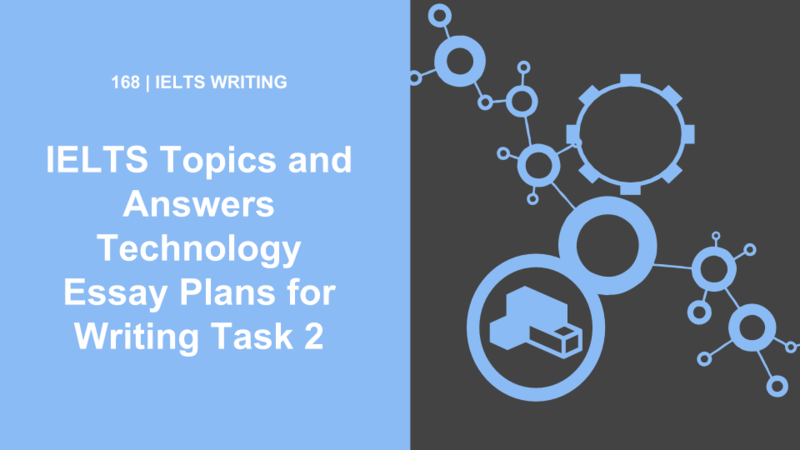 In this podcast we look at five IELTS Task 2 questions about technology, and then talk about possible answers, including how to formulate the paragraphs and plan the essay. Hello Ben and Team. I took the IELTS a month ago but the results were not what I was expecting, however I’m still on the road so your website is going to be my guide and motivation. Despite my overall was 7 I did not make it in WRITING (5.5). Sorry to hear about your results, Eduardo. We’d like to help you with your IELTS preparation! Please send us an email at ieltspodcast @ gmail . com (remove the spaces) and we’ll give you detailed tips. You can also subscribe to our free materials. I want to know if we can use idioms and proverbs and quotations in task 2. Proverbs? Do you you mean idiomatic expressions? Idioms help but the real key is to improve your language ability, get the basics 100% first! Hi Ben and team! Thank you for the wonderful work you’re doing. I wanted to ask for your advice regarding the model essays. There are so many various web pages with “model essays” and they all give kind of a different pictures about how your essay should look like to score band 7 or 8. Can you please advise some books/web pages with model essays that actually reflect official examiners’ understanding of the bands? Thanks in advance. Content was informative and relevant.Can you post on “How to maintain body language while giving test in real”.